Our stay in Siem Reap was far from perfect, but I think I have some tips to share with you should you plan to visit this city in the northwestern part of Camb odia. 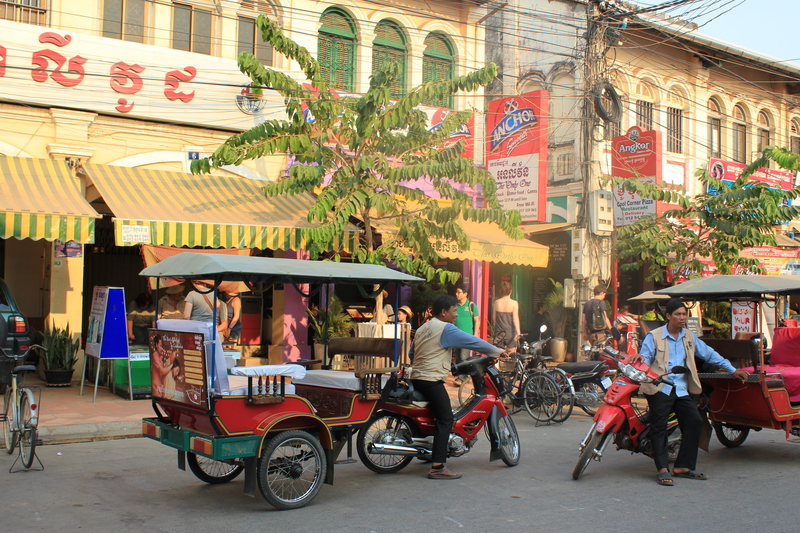 WHEN TO GO: We arrived in Siem Reap on February 11, 2013, which was the second day of the Chinese New Year and therefore probably the busiest week of the entire year. According to Chheuy Chhorn, deputy director of the tourism department in Siem Reap, 41 flights from China and Vietnam landed everyday during February 11-13 (source: http://www.phnompenhpost.com/2013021461364/Business/angkor-wat-sees-tourism-spike-over-lunar-new-year.html). Imagine the abundance o f tourists and then imagine the missing photo opportunities! 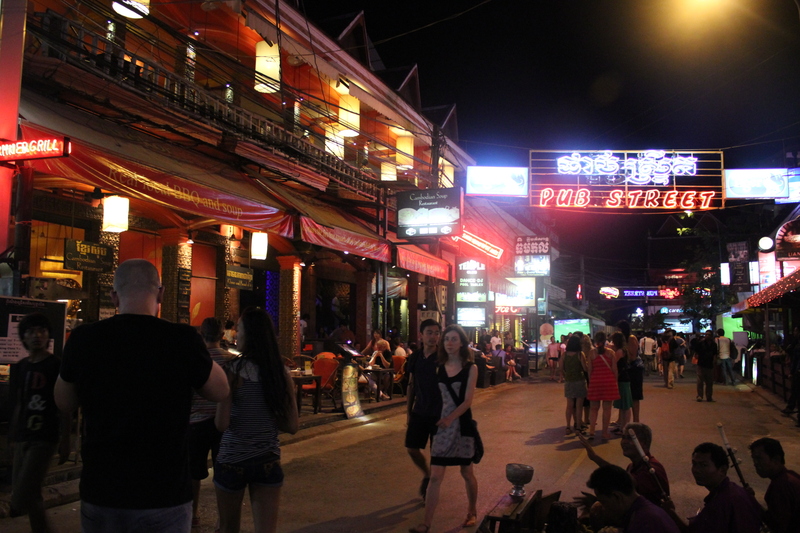 If you have a choice, do not go to Siem Reap just before, during or right after the Chinese New Year. Siem Reap, thanks to its proximity to Angkor Wat and other famous temples, constantly receives a large number of tourists, but try visiting off season, even during the rainy season. 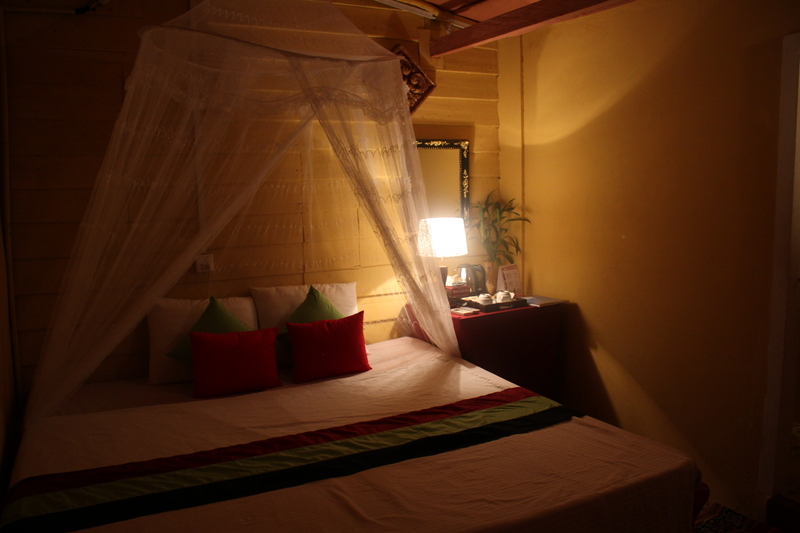 HOW LONG TO STAY: Prior to visiting Siem Reap many people were astonished at our plan to stay for approximately fi ve days. Many thought two, or at very maximum three days should more than plenty. I still think five days was a good length, and that in general one needs three full days to visit the temples and the surroundings of Siem Reap. Temple tickets are available for one, three or seven days and we purchased a three-day ticket and have no regrets. Since there is so much history, knowledge and beauty to be absorbed, I would recommend splitting those three days over four or even five days (ticket allows you to do so). It took the rulers centuries to build all those temples, so to get a real feeling one or two days is just not enough! This said, I would suggest a few places that I heard good things about. Babel Guesthouse (http://www.babelsiemreap.hostel.com/) is a guesthouse located in Wat Bo Road, about 2km from Pub Street (where Tranquility Angkor Villa is also), and it is also recommended by Cambodia and Laos by Eyewitness guidebook. 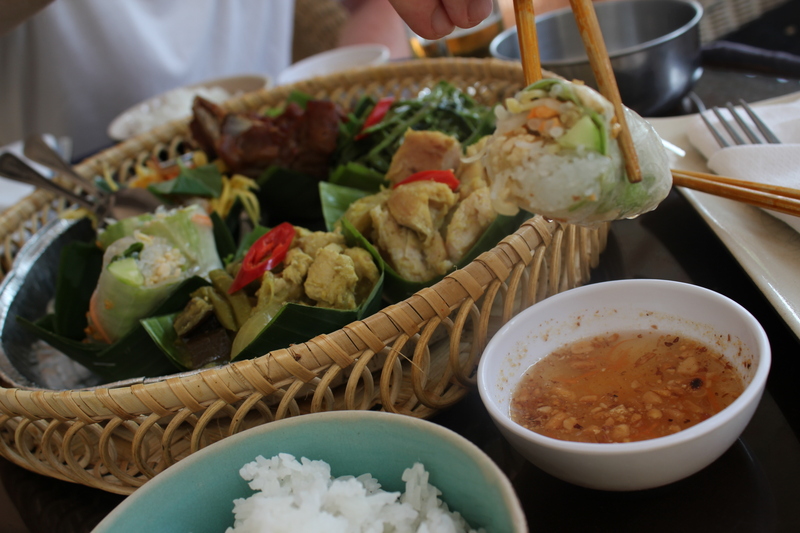 A Finnish couple we met on the Siem Reap – Viantine flight spoke very highly about Babel Guesthouse, saying it was excellent, very clean and food so delicious they didn’t need to leave the guesthouse in the evening. My Home Tropical Garden Villa (http://www.myhomecambodia.com/) is a small, stylish guesthouse with a swimming pool in the same street than Popular Guest House (about 10 minutes walk from Pub Street). This is where we wanted to stay, but could not get a room. Double AC room costs 20USD. A very affordable hotel we heard good things about is Central Boutique Angkor Hotel (http://www.centralboutiqueangkorhotel.com/) where room prices start at 47USD. In higher category, Hôtel de La Paix is going through renovation and rebranding, and will open as Park Hyatt Siem Reap (http://siemreap.park.hyatt.com/hyatt/hotels-siemreap-park/index.jsp?null) very soon (Q1 2013?). A dear friend stayed at Hôtel de La Paix last year and loved it beyond words. “It was BLISS”, he told me. Otherwise, most of the four- and five-star resorts are located on the Airport Road: far away from Pub Street but more easily accessible should you want to return to your hotel for lunch in between the temple visits. Just last week a friend stayed at Borei Angkor Resort & Spa http://www.boreiangkor.com/) and he got a very interesting off-season deal “definitely worth the money”. PS Like us, you may want to have a pool to jump into after walking up and down all those temple stairs under the burning sun. However, unless you spend the money to stay at a fancy resort, you do not need to look for a guesthouse with a pool. First of all, temple visits are time-consuming so you may not even have time for swimming. Secondly, you can use a pool at almost any hotel in exchange of few USD. During our five-day stay in we mainly ate at Khmer Kitchen (http://www.khmerkitchens.com/) located in the Alley (be aware of other restaurants that carry an almost identical name). 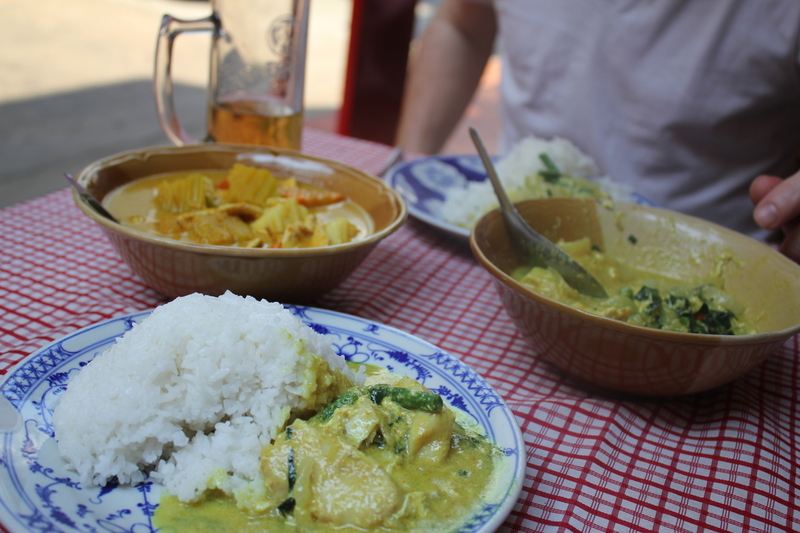 We particularly liked fish amok, chicken khmer curry (with pumpkins, potatoes and carrots) and mango salad. I cannot say the food was very refined but it was consistently good enough, and the setting cosy. Unfortunately the service was quite inattentive and slow most of the time. Our last night in Siem Reap came and it was time to change and try something different, so why not Cambodian BBQ (http://www.restaurant-siemreap.com/html/cambodianbbq.php)? We ordered “Real local BBQ”, 10USD for two, which includes beef, chicken or pork, bell peppers, lettuce, onion, basil, rice and yellow needles. 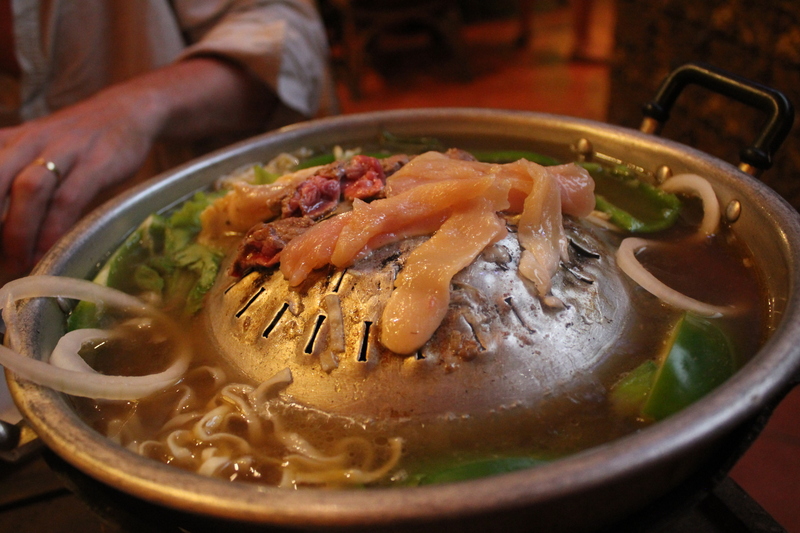 As you see in the photo on the left, the m eat is cooked on the domed part and the vegetables in the stock surrounding the domed part. There was a Khmer sauce for dipping but did it make the barbeque more tasty? Not really. It was a fun-enough experience to do once, but I am sure there are better places to taste authentic Cambodian barbeque. For coffee, we tried Blue Pumpkin (http://www.tbpumpkin.com/) but were not impressed by their coffee or cookies. 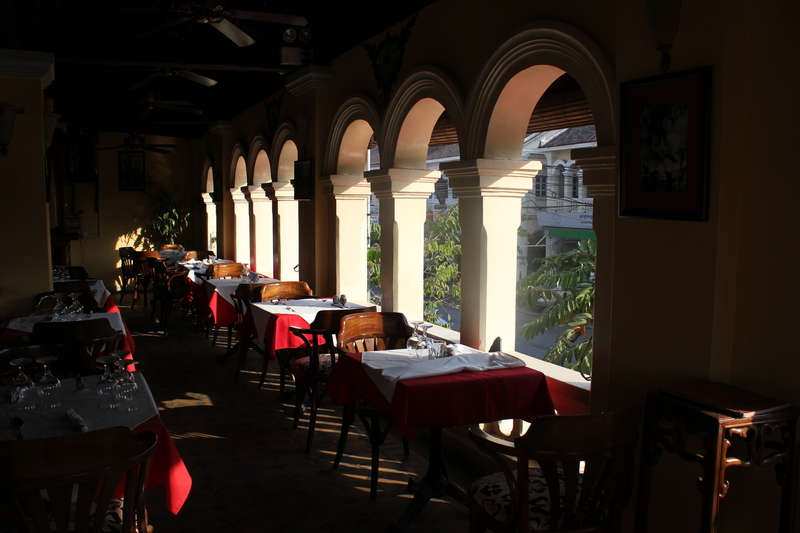 However, we really appreciated having a quiet moment early in the morning at Le Grand Cafe. Espr esso was excellent, venue beautiful and service efficient. The woman we met there (manager/owner?) speaks very good French and is very friendly. Le Grand Cafe reminds me of some cafes we visited in Havanna and Santiago de Cuba, and I actually regret we didn’t go back in the evening for a drink. 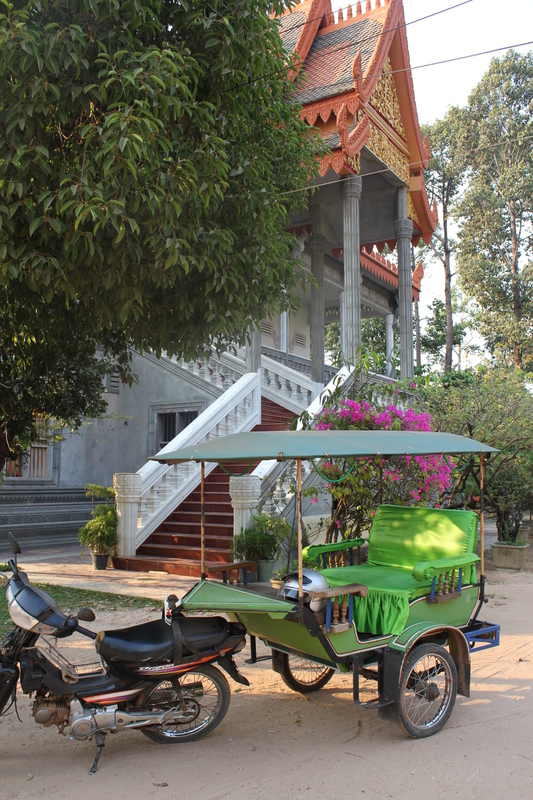 TRANSPORT & VISITS: Every guesthouse and hotel can organize a guide and a car/tuk tuk, but it is cheaper if you have a direct contact. Toward the end of our stay we got to know a young man called Chhor Chamnan and regret of not meeting him earlier. 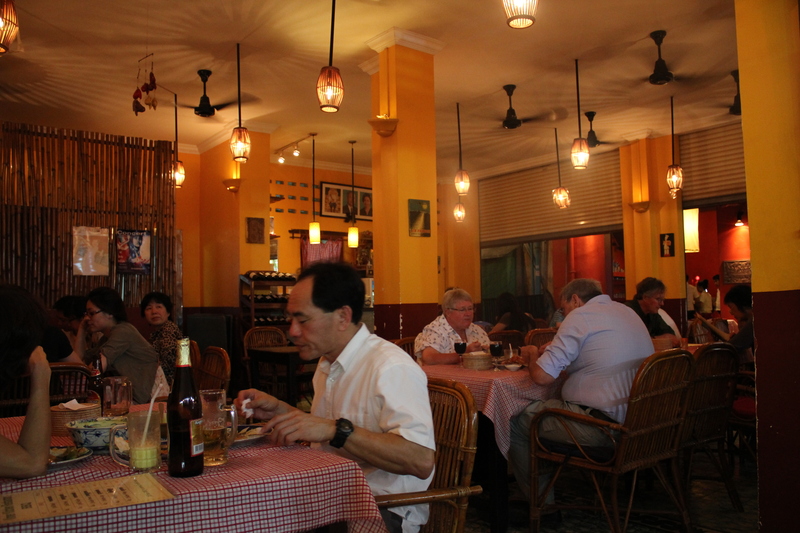 Chhor has been in tourism business for 13 years, working regularly with the Australian Embassy in Singapore. He is pleasant, reliable and his English is very good –highly recommended. He charges 20USD per day for a car in Angkor area and 40USD to visit the sites more far away. Should you need his guide services, he takes an extra 20USD per day. IN CASE OF URGENCY: In the Northeastern end of Pub Street there is a pharmacy called U-Care (http://ucarepharma.com/) which is really as good and reliable as any Western pharmacy. Staff speaks English and are friendly. For more urgent needs there is Royal Angkor International Hospital on the Airport Road, affiliated with Bangkok Hospital Medical Center (http://www.royalangkorhospital.com). They may not accept your insurance, so you have to pay upfront (it can get very expensive, as a simple consultation costs around 120USD) and get reimbursed by your insurance company once back in your home country –not the way it should work!). 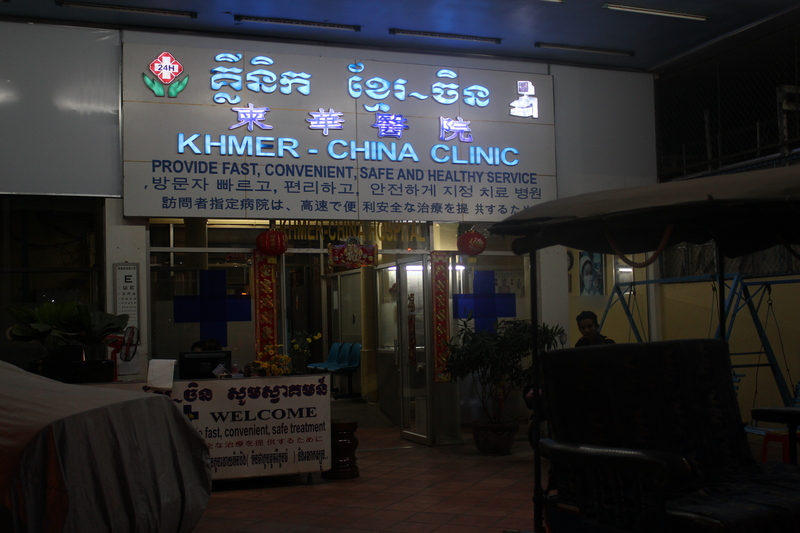 Right in the center of Siem Reap, near the upcoming Hyatt, there is also Friendship Khmer-China Clinic (no website but easy to find). It is much less fancy, but highly recommended for their availability, reactivity, kindness and attitude (and prices are substantially lower). I probably would not want to spend a night there but some of the most amazing human beings I have ever met work there. As your third option, and should you want something Western, there is Naga Healthcare (http://www.nagahealthcare.com/). In our case Doctor Joost Hoekstra was not very helpful, but he speaks French, too. 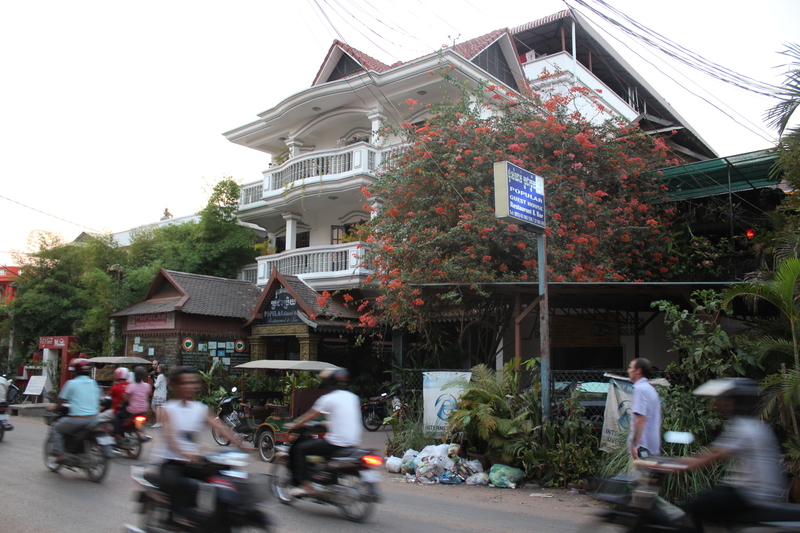 BOTTOM LINE: The center of Siem Reap is not very nice. In the evening it becomes a Drinking Factory and the epicenter of all happening is its famous Pub Street (see the photo). We only enjoyed the center in the early morning when everyone else (who was not already visiting temples) was too hang over to get up. During our Southeast Asia tour we met many people who shared this vision and I think it is a pity. Locals surely are pleased about the foreign currency inflow, but I cannot help myself but to wonder could the tourism have taken a different direction in Siem Reap? This said, I think it is important to separate Siem Reap and the temples. 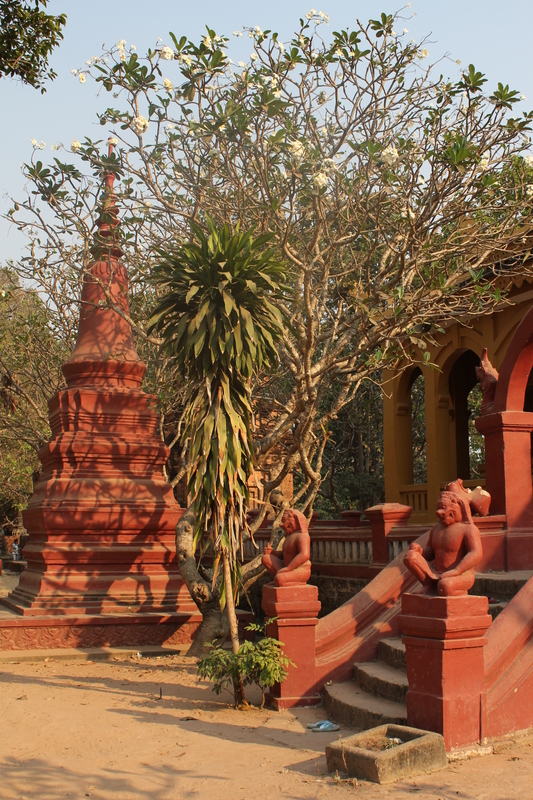 If you are going to Siem Reap, it is most likely because of the temples. So, forget the center and Pub Street, and try to focus on enjoying the beauty of the architecture and understanding the vision of the Hindu kings who built those temples because this is what Angkor really is about and what really matters. This entry was posted in Uncategorized and tagged Buddhism, cafe, Cambodia, food, Hinduism, hotel, restaurant on March 21, 2013 by Miia. Hello Travvel Sized! I am happy to help. When do you leave? I actually juss few minutes ago published something on the floating villages that you may find useful, too. I will try to write (as soon as possible, before the Easter) about the temples, too. Are you visiting other countries too in the region? I’ll be in Ho Chi Minh / Nha Trang from April 19-21 and Siem Reap / Phnom Phen April 22 – 27. I appreciate the comments on the floating village as well, I visited one in Peru and got a similar vibe..! How many days are you planning to spend at the temples and do you already have a place to sleep in? Nice travels you have planned 🙂 Where do you live when you don’t travel if I may ask? Hi, nice blog and pictures. Cambodia and Siem Reap sure are great! Hi Wouter, thanks for your comment! Judging by your website, you know the countries well! Do you also have an English-speaking website?